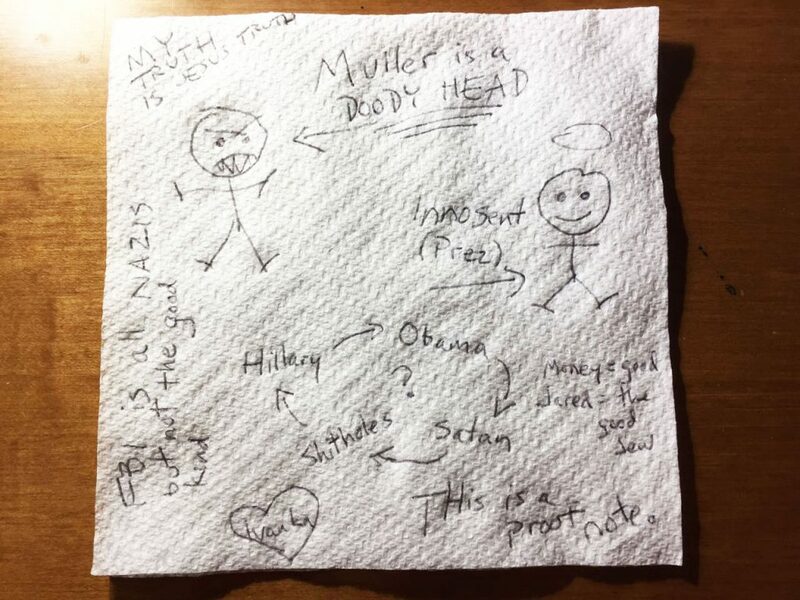 On Friday the White House announced that the President approved a classified napkin which Congressman Devin Nunes insists represents “entire minutes” of deep investigation. Republicans hailed the document as a serious blow to the credibility of Mueller, the FBI, and anyone in the Justice Department who refuses to recite the special Trump Loyalty Oath in the morning during the newly mandated Trump Loyalty Minute. “I don’t see how the Mueller investigation can recover from this incredibly damaging report,” said Fox and Friends host Brian Kilmeade, one of the most powerful advisors in the Cabinet.